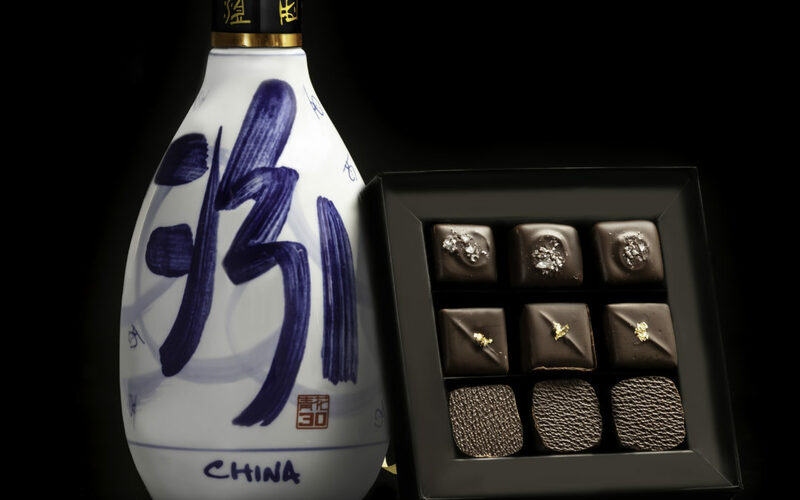 We have teamed up with the luxury Chinese baiju white spirit brand Fen Chiew, to create range of chocolates in celebration of Chinese New Year. Fen Chiew is produced in Fenyang in the province of Shanxi in China. It has been produced by the same method for thousands of years. This entails fermentation in solid earthenware cylinders buried underground, followed by double distillation. It is a premium white spirit produced from organic sorghum, barley and pisum. A dark chocolate ganache with Fen Chiew, flavours are rich cacao with hints of apricot, blossom and fragrant spices. 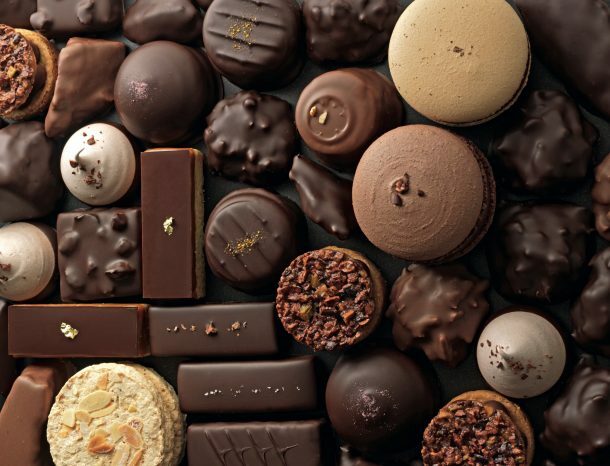 A smooth ganache infused with intense fresh thyme and finished with honey. A soft, slightly chewy caramel. Rich caramel, with butter, vanilla and a hint of sea salt.